1. 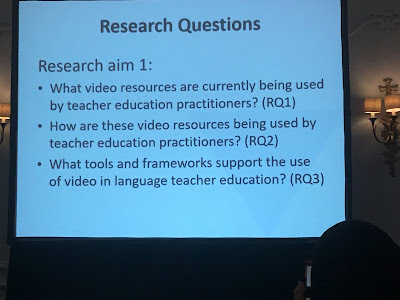 Map the current use of vídeo and visual media tools in language teacher education. 2. 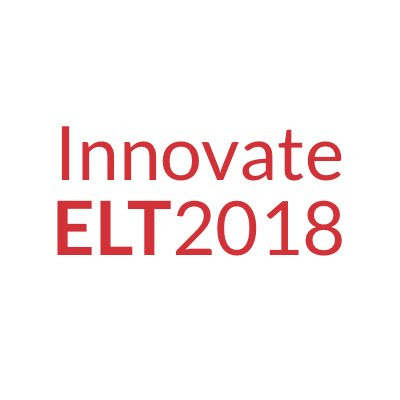 Build a community of practice among practitioners involved in teacher education in order to share good ideas and options. 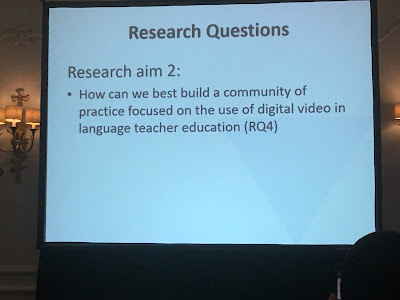 So far, the project has compiled information from 40 different teacher educators around the world to find out how they use vídeo in their training processes. 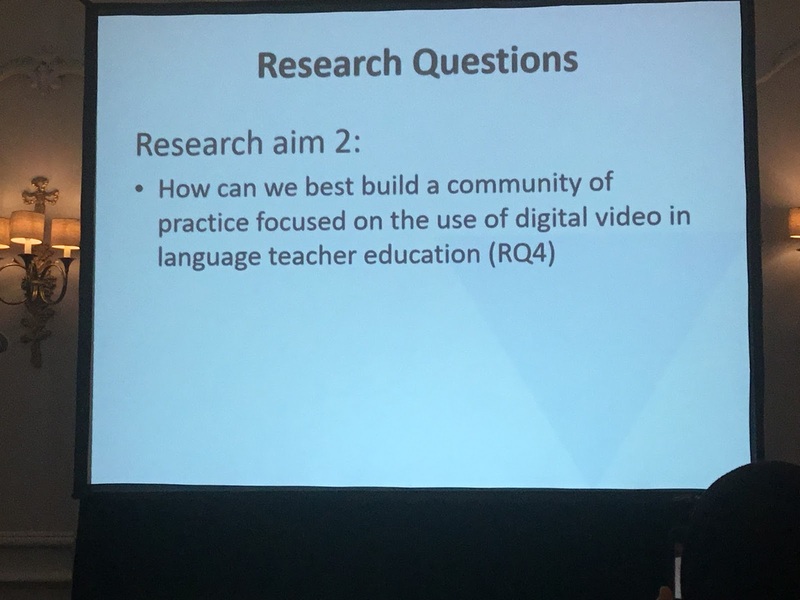 The use of (digital) vídeo and technology to create affordances for language learning is widely acknowledged. 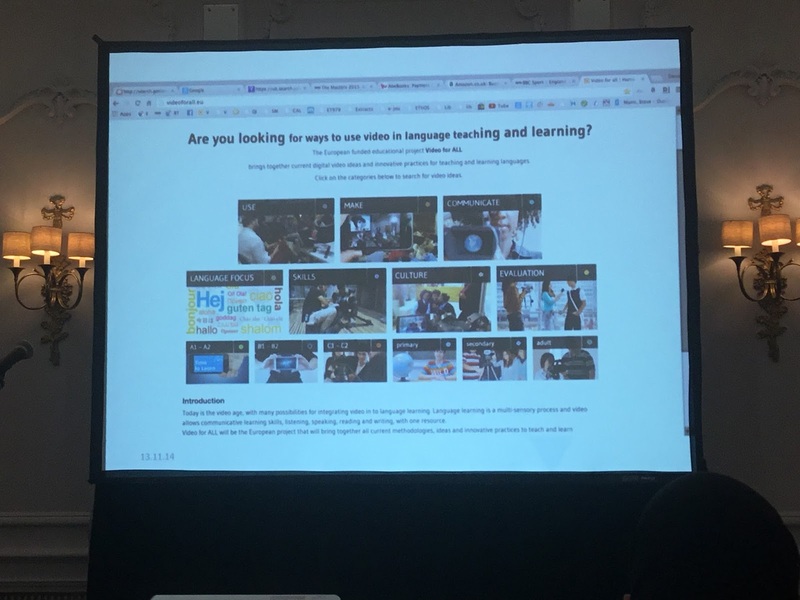 Steve highlighted the the EU project: Video For All http://videoforall.eu/es/ (see slide below) as an example of a website that shares ideas on how to use vídeo to its full potential in teaching and learning. The HandsUp project (Nick Bilborough) in Gaza. 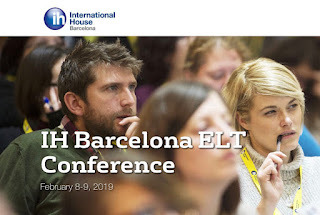 · withhold value judgements (Brandt, 2008) and talk about specific episodes or moments. Video is being increasingly used in micro-teaching and peer feedback (Maher Sherif) and has great potential for dialogic Reflective Practice interaction between you and your former self, etc. 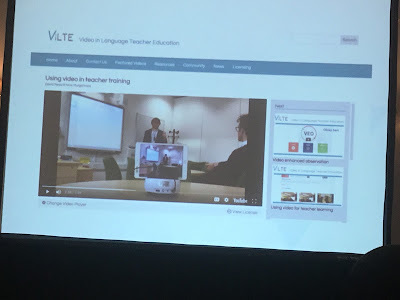 The ViLTE project can record teachers’ experiences of development through various uses of vídeo: examples include the rise of platforms such as VEO, Panopto or Iris Connect and screen capture through Snaggit, Screencast-O-Matic, and other tools can be used for creation of portfolios, creation of Virtual Learning Environments (VLEs), vídeo-banks, etc. 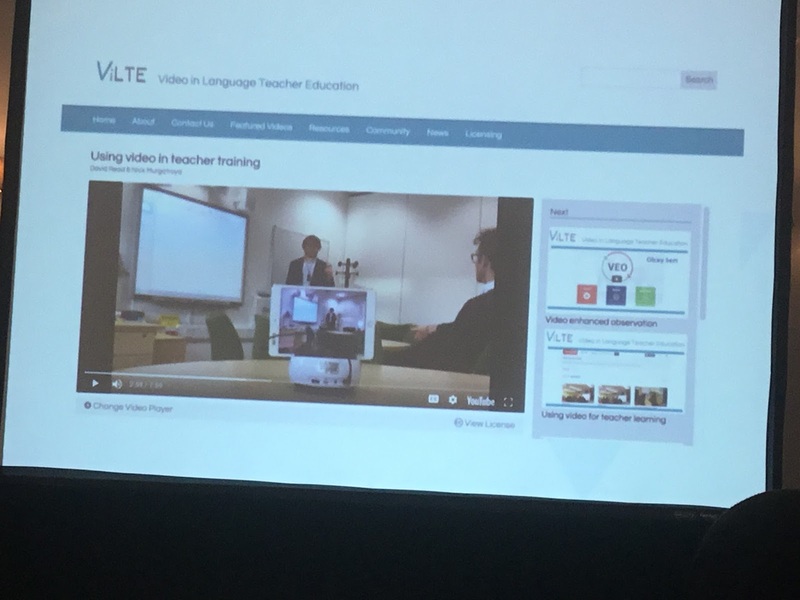 By building up a bank of examples of how vídeo is used in Language teacher education, the ViLTE project can help to map the current state of the terrain as well as provide ideas and inspiration for those interested in implementing vídeo techniques into their teacher training and development programmes. There is information on the website about how to contribute. Gaudin, C. Chaliès, S. & Amathieu, J. 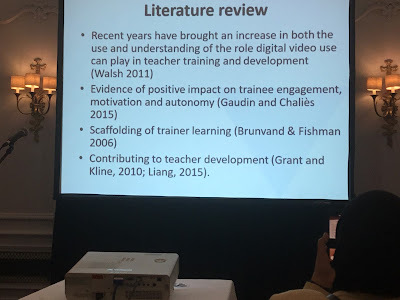 (2015) The Impact of Preservice Teachers’ Experiences in a Video-Enhanced Training Program on Their Teaching: A Case Study in Physical Education. 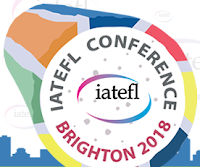 Contemporary Issues in Technology and Teacher Education. Grant, T. J. & Kline, K. (2010). The impact of video-based lesson analysis on teachers' thinking and practice. Teacher Development, 14 (1), 69-83. Liang, J. (2015). Live video classroom observation: an effective approach to reducing reactivity in collecting observational information for teacher professional development. Journal for Education for Teaching, 41 (3), 235-253. Walsh, S. (2011). Exploring Classroom Discourse: Language in Action. Routledge.